The first time I had ever heard of Joe Mammana was this past July when I was in Indiana for a meeting and weekend to remember Niqui McCowan. Patti and Ed Bishop (along with some others who were present at this meeting) educated Debbie Culberson and I on just who this man is. 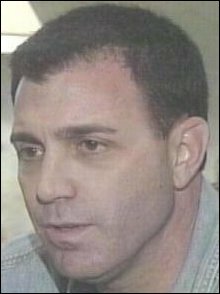 Joe Mammana is a businessman who is best known for his high profile crime advocacy and putting up high rewards for missing and unsolved cases. Mammana's most well-known case is the Natalee Holloway case in which he supplied the million dollar reward for. Mammana turned from a life of crime and violence to begin assisting families and victims in a time of need and in my opinion, he's doing a wonderful thing. In the last few weeks Joe Mammana has turned up the heat on some of these missing person cases to help find resolve along with the founder(s) of the Midwestern Coaliton for the Missing - Patti Bishop and Darlene Pitts. Mammana has chosen 20 missing person cases from the Midwest to have a $100,000 reward that is in effect for 20 days. The twenty cases for twenty days at $100,000 totals 2 million dollars and Joe believes that this sum of money may quite possibly bring resolve to several of these cases within this time frame. I believe that this is a great idea and I want to tell you why. This is a lot of money at stake and if someone has information that could give them amount of money, they'd be nuts to continue not give up that information. I support what Joe is doing and although my communication with him was brief because I was working to connect him with Debra Culberson, I believe this man is smart and his tactics work. Seven families of missing Hoosiers have rekindled hope of finding their loved ones -- or at least finding out what happened to them -- thanks to a Philadelphia businessman who is putting up big rewards. Family members of six of the seven gathered Downtown on Thursday at the Omni Severin Hotel to plead for information and to dangle the lure of $100,000 -- in each case -- to anyone who offers information that locates the missing person or leads to arrests and convictions in the cases. The Indiana seven are among 20 missing persons cases nationwide tagged with rewards totaling $2 million put up by Joe Mammana, who owns an egg farm and is a former Marine. He has a degree in criminal justice and a police record for charges of aggravated assault, drugs, fraud and theft. In recent years, however, he has become a crime fighter, putting up sizable rewards in high-profile cases, including that of Natalee Holloway, the Alabama high school student who vanished last year in Aruba. Last month, Patti Bishop, stepmother of Karen Jo Smith, who disappeared in Indianapolis on Dec. 27, 2000, contacted Mammana about her vision for a "Squeaky Wheel Tour'' to draw attention to missing persons cases. Mammana liked the idea and agreed to fund rewards to try to draw out information. In short order, he and Bishop devised a plan to offer $2 million for 20 cases for 20 days -- Sunday through Nov. 24 -- with $100,000 dedicated to each case. Thanks to Bishop's involvement and her knowledge of Indiana cases, the state is heavily represented on the list. The other 13 cases are from Missouri, Wisconsin, Nebraska, Alabama and Arkansas. Hensley is the most recent to go missing of the Indiana cases; Shannon Sherrill has been gone the longest -- she was 6 years old when she disappeared Oct. 5, 1986, from Thorntown. Some of the cases previously have included rewards, but none as large as $100,000 or the cumulative $2 million the families hope will buy them attention. Some investigators share that hope. "It's my hope that this money will bring someone forward,'' said Lt. Donald Bender of the Indianapolis Police Department's missing persons division. The concept regularly works with the CrimeStoppers program, he noted. Family members and investigators often are frustrated in the belief that people have information but are afraid to come forward. The reward money, they said, might be just the incentive those folks need, said Darlene Pitts, sister of Lola Katherine Fry, Greenwood, missing since Nov. 14, 1993. "This might shake the right bush,'' she said.